The best Sunday dinner spots to hole up in this winter. If you’ve missed friendly and cosy gastropub Busby and Wilds, that might be because it’s Kemptown’s best kept secret. They serve fresh and locally sourced food with a global array of beers and a hand-picked wine list. Their roasts are a particular highlight, with veggies treated to a walnut, hazelnut and almond vegetable roast, while meat eaters can treat themselves to the likes of sirloin of aged Darneth Valley beef and slow roast shoulder of Sussex Downs Lamb. They pride themselves on being both dog and family friendly and have a lush courtyard garden ideal for the summer months. A characterful and community orientated gastro pub, The Caxton Arms claims to be one of BN1’s best kept secrets. They serve a host of pub classics and vegetarian options as well as what in 2017 RoastsInBrighton.com called the best roast in Brighton. They have also been nominated for Brighton Restaurant BRAVO Sunday Roast Of The Year 2018. If you’re not in the mood for a roast they also recommend their seam bream and Cajun spiced pork belly. They also have a split garden with mezzanine floor and patio as well as billiards table and board games. 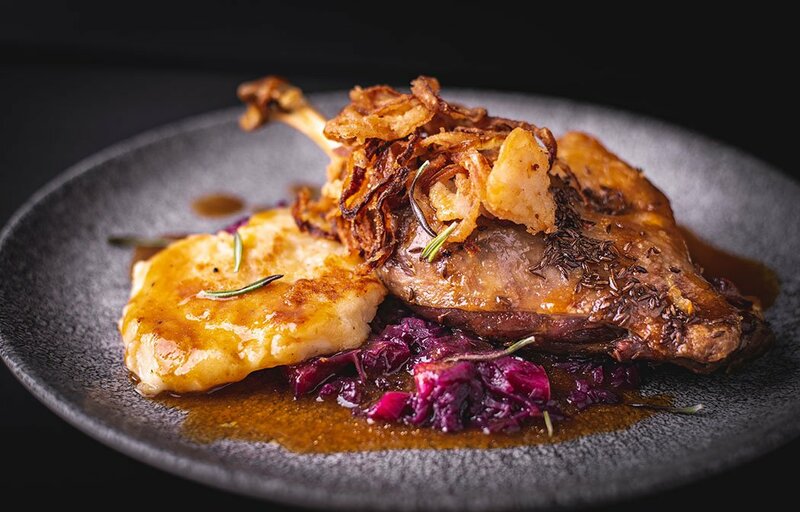 Conveniently located near to Brighton Station, the North Laine and central Brighton, the Sussex Yeoman specialises in great locally and ethically sourced ingredients, extensive menus, award winning Sunday Roasts, wines and real ales. They use fresh seasonal vegetables and the poultry and fish they use are locally and ethically sourced. They also pride themselves on their vegetarian selection. It has a friendly group of regulars and supports local suppliers and charities such as Small Batch coffee and animal rights charities PDSA and RSPCA. They also run weekly offers and half price daily specials. After four successful years at Brighton Beer Dispensary, Dizzy Gull moved location to Brighton Bier’s Haus on the Hill in Southover Street earlier this year. They won Brighton’s Best Sunday Roast Award in 2017 and amongst their roasts is a Sussex dried rib eye and pork belly as well as a regularly changing specials. If you don’t want a roast they have a quirky menu including pork schnitzel and oxtail nuggets, and also specialise in a selection of cheeses including Coolea cheese and Mrs Bell’s Blue. Over the last few years Hove Place has established itself as a gastro pub with a reputation for providing high quality and interesting dishes. Their mixture of high end pub classics and quirky bistro style dishes have proved popular with the residents of Brighton & Hove. They have two menus – ‘Pub’ and ‘Bistro’ – and aim to cater to guests looking for pub classics and for something more creative and interesting. They are particularly famed for their roasts, and have a spacious garden – perfect for heading back in the summer. Located in a quiet corner of Hove, the gorgeous Coopers Cask holds up the conventional aesthetic of an English pub, providing guests with some of the best roasts in the area (topping it all off with bacon – a rarity in itself!). The atmosphere is warm and welcoming, with great service as well, it oozes relaxation. A great value pub. On the Hove seafront, the Connaught is an all-rounder, ticking all the boxes. Pub? Check. Family-friendly? Check. Rated one of the best roasts in Brighton and Hove? Check! Sundays are one of the busiest days for this pub, with plenty of people enjoying the food and drink and overall aura. Their roasts are made with locally sourced ingredients and can be catered for gluten free choices if necessary. Connaught also hosts a very popular quiz night on Sunday and if you have one of their roasts at this time, they will pay the one pound quiz entry fee for you! Sign us up! Much like The Connaught, The Ladies Mile holds the same values and morals as a typical English pub. Its resident kitchen, run by Russell Tisbury, offers a great roast, including all the trimmings and a monstrous Yorkshire pudding, the food is one to look forward to before the new week sets in. An inviting environment for all ages, followed up with polite and friendly front of house staff, it’s the place to unwind and put your feet up.